Several news agencies are running stories according to those Turkey has shelled targets within Syria after the town of Akcakale came under mortar fire from within Syria which resulted in five people being killed including three children. According to the Turkish sources, Border Regiment fired about 20 155mm shells around 17:30 LT time against Syria followed by 15 more artillery shells from batteries around Akcakale towards Ayn El Aruz, at around 01:00 LT. So far no air strikes have been reported. The border area has come under attack several times in the past few weeks but it is the first time Turkish nationals have been killed. In a previous attack, a Syrian national was killed on the Turkish side of the border. On Jun. 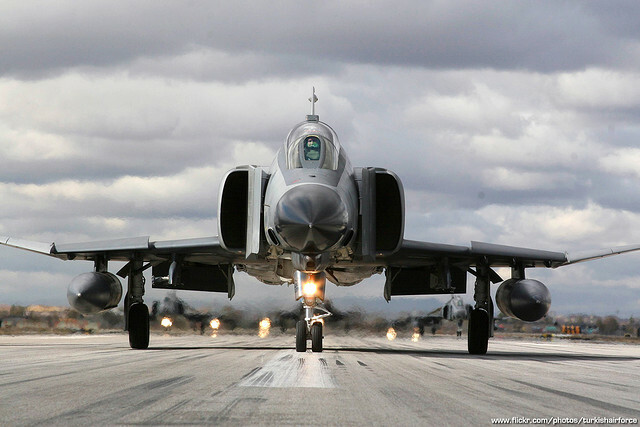 22, a Turkish Air Force RF-4E was shot down by a Syrian Air Defense battery whilst in July, six Turkish F-16s were scrambled in response to the Syrian Arab Air Force helicopter activity near the border. An emergency NATO meeting has been called. “As stated on 26 June 2012, the Alliance continues to closely follow the situation in Syria. In view of the Syrian regime’s recent aggressive acts at NATO’s southeastern border, which are a flagrant breach of international law and a clear and present danger to the security of one of its Allies, the North Atlantic Council met today, within the framework of Article 4 of the Washington Treaty, and discussed the continuous shelling of locations in Turkey adjacent to the Turkish-Syrian border by the Syrian regime forces. No further details have been disclosed. Another unidentified drone filmed over Homs, Syria. Syrian, American or Israeli?